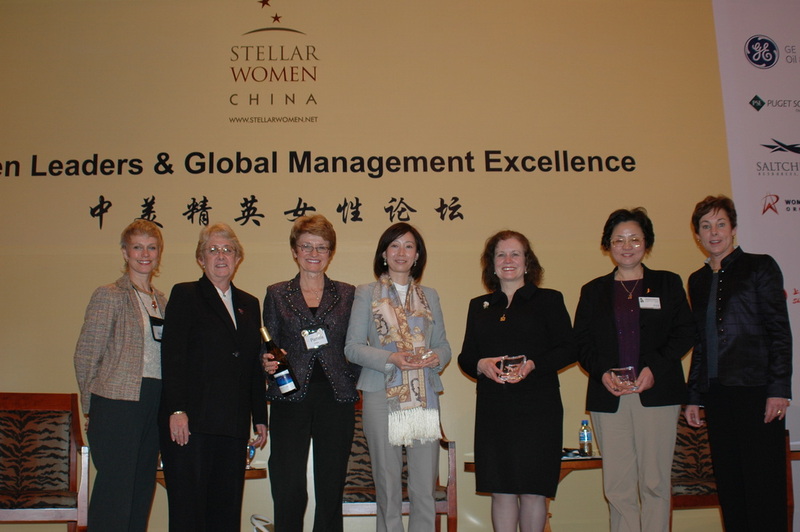 In March of 2008 Stellar brought an international delegation of prominent women from a wide array of professional backgrounds for eight days of inspiring and educational programs in four cites in China; Hong Kong, Lijiang in Yunnan Province, Beijing and Shanghai. Stellar was invited to return to China by Madam Gu Xiulian, President of the All China Women's Federation, China’s preeminent women’s organization after a very successful program in 2006. 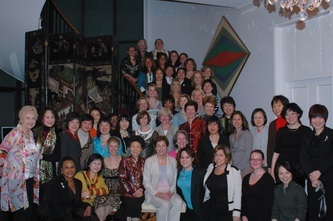 The warmth of the personal relationships initiated then, set the stage for a more in depth dialogue with Madam Gu and presentations and roundtable discussions with Chinese women business leaders on vital issues. We thank our key sponsors Link to sponsor logo page for the vital support they provided in making these programs possible! We met with International Women’s Forum members and heard Robyn Meredith, Senior Editor Asian for Forbes Magazine, discuss her new book The Elephant and the Dragon: The Rise of India and China and What It Means for All of Us which gave us a great way to think about China as we began our exploration of current issues facing the country. Click here to view an interview with Robyn Meredith and Charlie Rose. "I don’t think you can fully comprehend the enormous impact China has on the world’s economic balance, unless you actually experience it first hand. Thinking outside the box – taking off our own moccasins and putting on someone else’s – is a critical component of leadership. Expanding our horizons beyond our typical day-to-day business activities is essential to fostering creativity, inspiration, and a bit of healthy fear. 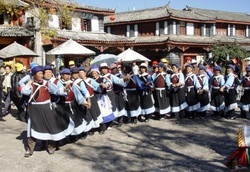 This Delegation gave me a hands-on opportunity to explore China’s role as powerful force in global business and to better understand how women leaders can work together to build bridges for positive change.”Heidi Tucker VP Business Development, Hoover’s, Inc.
We met with The Nature Conservancy (TNC) and the Lijiang Women’s Federation in the TNC Lijiang office, a traditional Naxi house, made available by the family of Rose Niu, TNC's chief representative in China and learned about alternative fuel and energy efficiency projects that are conserving the vital regional watershed while improving the working lives of tribal women. Click here for more information about The Nature Conservancy. 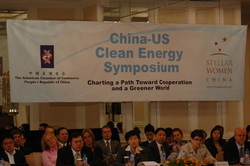 Our half-day Symposium with the American Chamber of Commerce in China China-US Clean Energy Symposium: Charting a path toward cooperation and a greener world included "part 2" of Senator Maria Cantwell's China-US energy dialogue which was initiated during the 2006 Stellar delegation to China. We examined the issues surrounding energy consumption and addressed ways to eliminate these barriers so the future of power generation can be more efficient with lower carbon emissions. 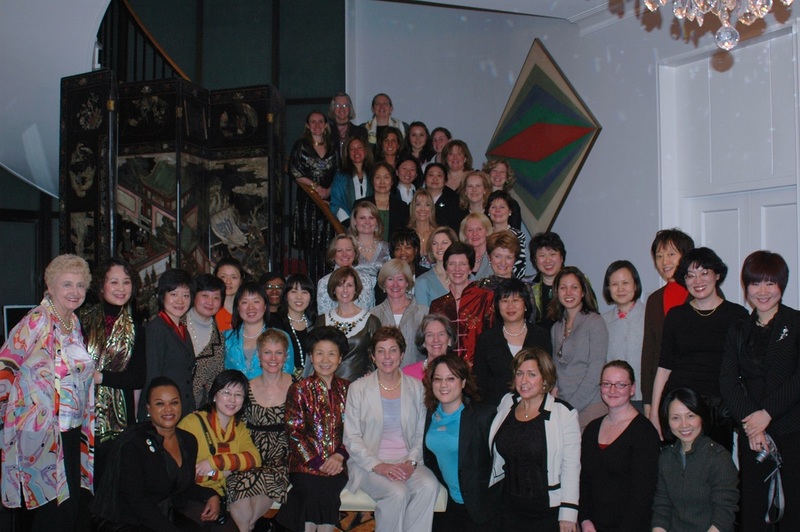 Our roundtable with the leadership of the All China Women’s Federation featured discussion on the role of women in social work, poverty alleviation and micro-finance. We visited the Dandelion School for the children of immigrant laborers and learned about how successful Chinese women entrepreneurs are seeking to give back to their communities. 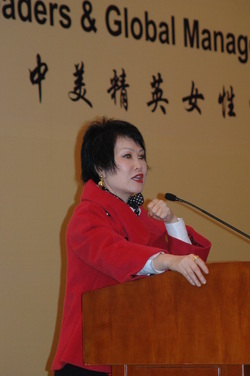 As a follow on to the 2006 delegation program, we joined with the Seattle Cancer Care Alliance and Susan G. Komen for the Cure to celebrate the Women’s Health World Expo and Breast Cancer Advocacy Symposium which brought women representatives from all the provinces of China to learn about cancer screening and care. 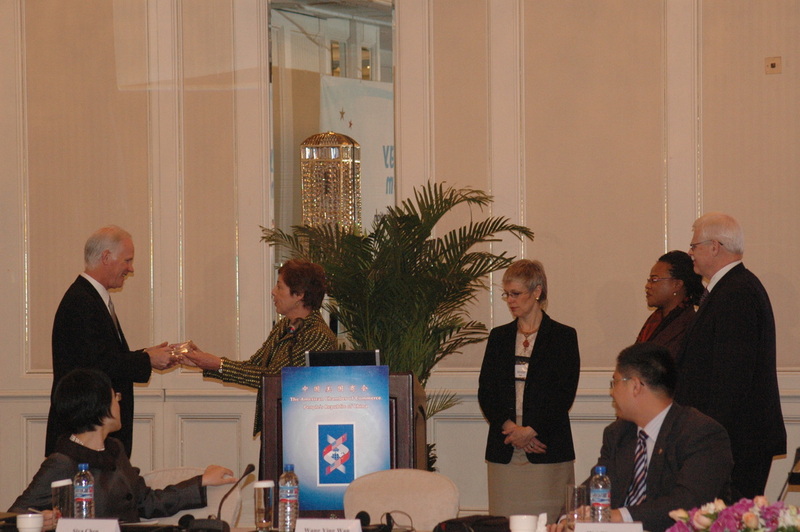 The Shanghai Center for Disease Control is proposing further programs to carry this important work forward. 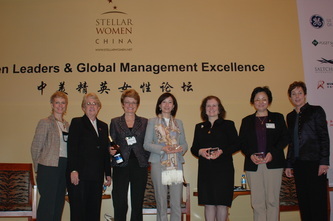 Stellar teamed up with the American Chamber of Commerce in Shanghai and the Shanghai Women’s Federation for a full day conference on Women Leaders & Global Management Excellence that set a new standard for a truly bi-cultural dialogue on leadership and best practices in creating hybrid corporate cultural environments for successful business. Shanghai’s urbane and glamorous history was the perfect backdrop to a fascinating program on Urbanization and Urban Development (link to program agenda or presentations) that added so much to our investigations on the rapid changes that are both rewarding and challenging Chinese society today. These are just a selection of the numerous events and receptions that provided Stellar delegates with high-level contacts in China as well as the latest market intelligence and insight into the key role women play in the social and economic growth of this extraordinary country. Once again, it was an intensive learning and sharing experience, and an unforgettable opportunity to make connections and friendships that will last a lifetime.